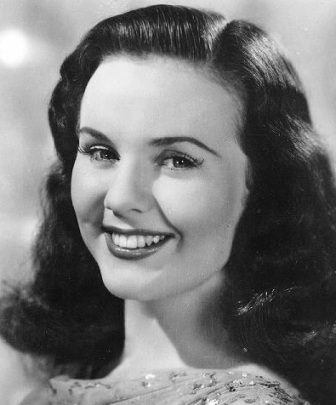 This is part one of a look back at the life and career of Winnipeg-born singer and actress Deanna Durbin who is celebrating her 90th birthday on December 4, 2012 ! Part 3: Whatever happened to Winnipeg's Sweetheart ? 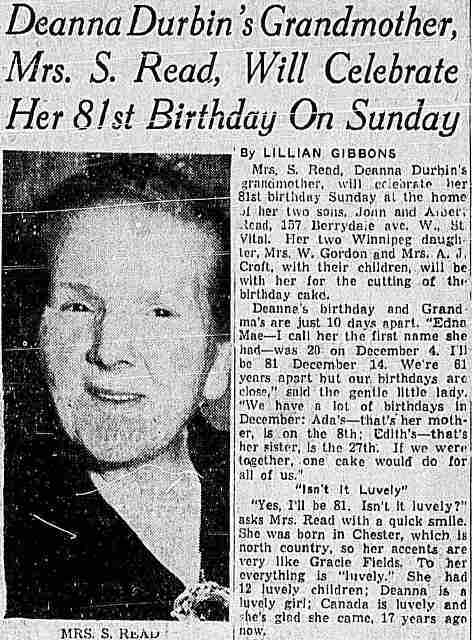 Edna Mae Durbin was born on December 4, 1922 in Winnipeg, Manitoba. Though she lived here for less than two years before her family moved to Los Angeles, the Durbins kept close ties to the city thanks to extended family and friends. Local media dubbed her "Winnipeg's Sweetheart" and followed the young starlet as if she never left. 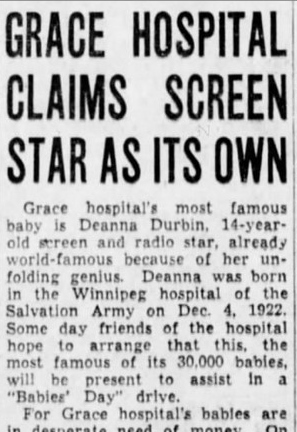 This is a look back at the Winnipeg side of Deanna Durbin's life. At the end of part three I will include a number of Deanna Durbin links for those who want to look deeper into her Hollywood career. Durbin's father was James A. Durbin, (October 2, 1884 - May 1, 1976). He grew up in or near Newton Heath, Lancashire, England, a small industrial town just east of Manchester City. He was a slight man with a good soprano voice. His parents, however, steered him toward the trades and he apprenticed as an iron worker (1). Today, the world knows Newton Heath for its football club, the Newton Heath L and YR (Lancashire and Yorkshire Railways) or, as it was re-christened in April 1902, Manchester United! Mother Ada Tomlinson Read, (December 8, 1885 - June 10, 1972), was one of twelve children of William and Sophie Read of Ruabon, Wales. They later moved to Chester then to the industrial town of Oldham. The couple married in 1908 in the Congregational Chapel in Thorp Road, Newton Heath. The following year they had their first child, Edith, and the year after that left for Canada, initially settling in Peterborough, Ontario. In 1912 the family relocated to Winnipeg. At the time, the city was at the pinnacle of its economic might. The grain trade was booming, record amounts of cargo were being shipped into the West and land speculators were becoming millionaires overnight. The skyline was filling up with impressive new developments such as the Bank of Commerce headquarters (now the Millennium Centre) and Union Bank Tower, Western Canada's first skyscraper. The Grain Exchange on Lombard Street, barely 5 years old, was about to undergo a seven storey addition to make it, supposedly, the largest commercial building in the Commonwealth. 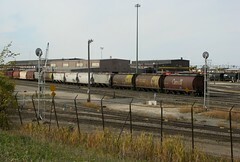 There were four railways located in Winnipeg at the time. 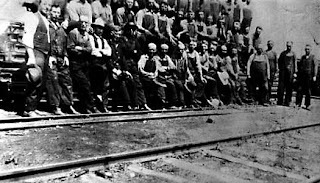 The Canadian Pacific, with 3,000 employees, was Winnipeg's largest single employer (2), and James Durbin, blacksmith, would soon be one of them. When the Durbins first arrived in Winnipeg in 1912, they lived at 388 Blake Street. The following year they moved around the corner to 2234 Gallagher Avenue, which is where they remained for the rest of their time in the city. Today this is known as the Weston neighbourhood, named for the huge C.P.R. Weston Shops located to the north. Back then, though, it was nicknamed "C.P.R. Town" and filled mainly with immigrants who worked in the yards or at nearby industrial sites. C.P.R. Town would have been a noisy, smelly place, especially back in the days of coal fired trains. Weston was, (and still is), the C.P.R. 's main repair shops for all of Manitoba, operating 24 hours a day. Dozens of trains would have passed through day and night on the adjacent main lines leading to and from the prairie frontier. 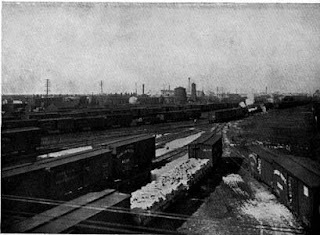 The Manitoba Rolling Mills had a steel plant that included a smelter next to the yards at Gallagher Avenue at Vincent Street. In 1908 it underwent a large expansion and the plant received so many complaints about the smoke, noise and putrid steam that filled the neighbourhood, they had to shut down night-time production for a time (3). The mill was still in operation when the Durbins lived there. It's no wonder that Deanna would be referred to as a "St. Vital girl" in her studio bio as it has a much nicer connotation than "C.P.R. Town girl"! Top: The Durbin home from 1913 -22 , 2234 Gallagher Ave. The Durbins lived in a modest, 1,000 square foot Gallagher Avenue bungalow that was built two years before they arrived. The 2010 assessed value is just $56 k, if anyone wants to create a Deanna Durbin Museum there! John immediately found work as a blacksmith at the C.P.R. 's Weston Shops. (I wonder if he knew my pal William Harvey?!) One building he likely would have worked in can be seen in the background of the modern photo above. 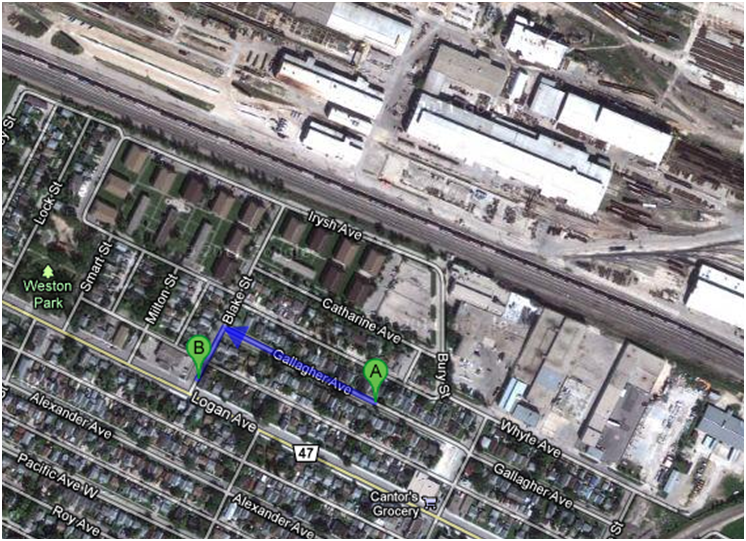 At the time there was an entrance to the yards right off of Gallagher Avenue making for a very short commute! The shops were a tough place to work due to long hours, dangerous working conditions and backbreaking labour. 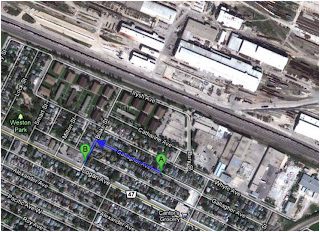 In fact, the seeds of the 1919 Winnipeg General Strike were sewn in the metal workers shops in the Weston yards. A machinist working there at the same time as Durbin was R. B. Russell who became a key General Strike labour leader. On December 4, 1922** the Durbins' second daughter, Edna Mae, (later Deanna), was born at the Grace Hospital at Preston Avenue at Arlington Street in Wolseley, (now demolished). The Salvation Army facility was built in 1905 to specialize in the care of "wayward girls" and included a small maternity wing. In 1911 it underwent a major expansion and within a few years it was Western Canada's largest maternity hospital. In 1921 Edna Mae was just one of 1,300 births! Something I also noticed is that she remained fourteen for an awfully long time between 1935 and 1937. My theory is that perhaps at some point either MGM or Universal changed her birth year to make her appear to be older or younger than she actually was. 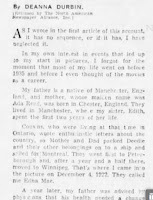 Unfortunately, it will be another few years until Manitoba Vital Statistics releases birth records form that far back and the latest Canadian census available is 1921 which would be a bit too early to find her in given that her birth day is December 4. Despite the house, steady work and a growing family, there is one thing that James Durbin could not get used to: the cold Winnipeg winters. There are references to him being a sickly man and the cold effecting his health. Daughter Deanna later recounted that what little savings the family could make in the summer was eaten up by heating costs in the winter. 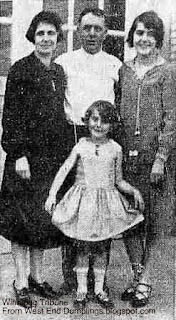 It was decided that the family would move to a warmer climate and in May 1923 they departed by car for Los Angeles with 12 year-old Edith and 1 1/2 year-old Edna Mae. Despite leaving, the family was still bullish about this city's opportunities. In 1925 they convinced Sophia Read, Ada's widowed mother, and four of Ada's siblings, brothers Jack and Albert and sisters Mrs. W. Gordon and Mrs. A. Crofts, to move to Winnipeg. 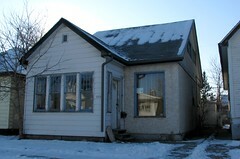 The Reads settled in St. Vital at 157 Berrydale Avenue. Both Jack and Albert got work as machinists with the C.N.R. shops in Transcona. In Los Angeles John worked as a machinist and other manual jobs. The family eventually settled at 212 West 85th Street, which appears to have been demolished. Eldest daughter Edith, Dee-Dee to Edna Mae, attended university and obtained her teachers certificate in 1932. As for young Edna Mae, she showed an aptitude and a love for singing. Sister Edith took notice and once she began full-time work enrolled her at the Ralph Thomas Voice Academy in Los Angeles. The Durbins made regular visits to Winnipeg. Aside from extended family, they also had a number of close friends that they kept in touch with over the years. For Edna Mae, the main draw was her 'granny' Sophia Read who lived with sons Jack and Albert at their small home on Berrydale. 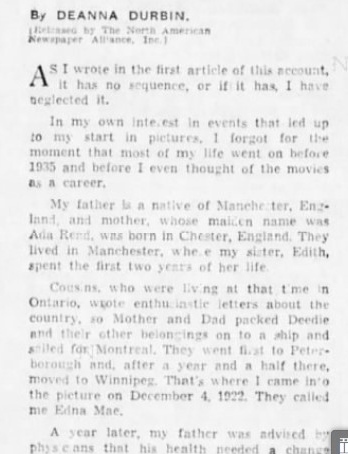 Mrs. Read (1860 - 1944) was from Chester, England and shared the same birthday as Deanna, though 61 years apart ! The longest period of time Deanna spent in Winnipeg since moving to L.A. was the summer of 1935. She visited again in 1936 and 1937 but, after that, her meteoric career path kept her away. City of Winnipeg Archives, Western Canada Pictoral Index. 3. Winnipeg Free Press, October 8, 1908. 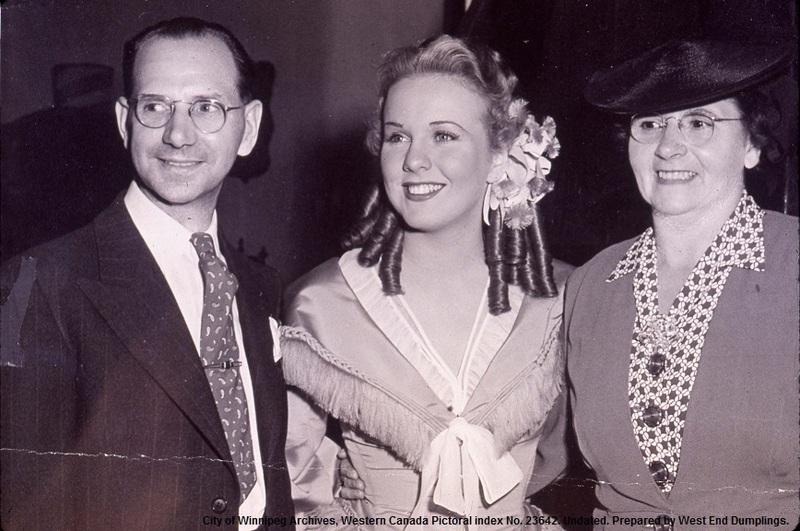 More family photos can be found in the Photos and People sections of Deanna Durbin Devotees. See the end of part 3 for more reference links. 1921 or 1922? See above! Saw her movies in my youth in the forties and fifties in the local cinema here in Holland. Since then í became a life-time fan of this beautiful and outstanding woman with great singing and acting talents. Look forward to more articles of this kind. Thanks for this ! it's great to know she has fans around the world ! ...and apparently so do you, Chris! Part 2 is now up. I had to stretch it into a three-parter !